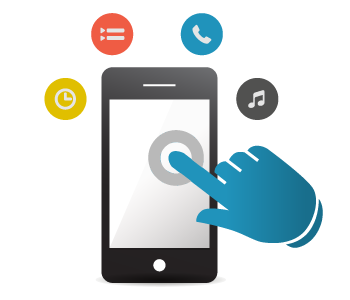 webrooptech is one of the best mobile app development company in Noida delhi,india. We build apps on a large number of technologies, some of them being Android, iOS, Wearable Technology, Internet of Things etc.An App offers a exactly completely different expertise because it permits quicker access to data on a platform specifically created for a target device. Whether or not it’s a game, communication, multimedia, productivity, utility, or travel connected Application. Mobile Applications produce a chic, easy and seamless expertise for its users. Webrooptech offer complete app solutions to those who are looking to turn their iPhones app dreams into reality. 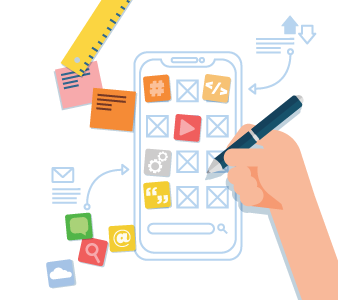 We have an expert and experienced team can guide you through the twists and turns of app development, simplifying an often convoluted and complex process. Webrooptech design elegant interactions, and create a fully functioning iOS app. This Specialization covers the fundamentals of iOS application development in the Swift programming language.